If your child suffers from asthma, Seema Sharma, MD can help you to treat the condition and ease the symptoms. 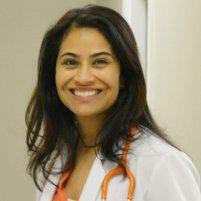 Patients in the Westside of Las Vegas, Nevada and surrounding areas can visit Dr. Sharma at VIPediatrics of Las Vegas. Asthma is a breathing condition where the airways begin to narrow and swell. This produces extra mucus in the chest and this blockage will make breathing extremely difficult. It will cause coughing, wheezing, and shortness of breath. Some people will experience asthma as only a small disturbance, but for others, it can be a more bothersome problem that interferes with daily activities and can even lead to a life-threatening asthma attack. • Coughing or wheezing attacks that are worsened by a respiratory virus, such as a cold or the flu. • Allergy-induced asthma - triggered by airborne substances, such as pollen, mold spores, or pet dander.